New partnership to drive digital excellence in Sheffield. Sheffield has a growing reputation as a city where digital and creative businesses can start up, grow and thrive on a national and international scale. 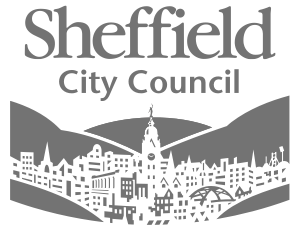 And now Sheffield is set to underline the importance of its digital sector even further, with Sheffield City Council joining Sheffield Digital as a regional partner. This new partnership signals the council’s recognition of the increasing importance of the digital sector to economic growth, health and wellbeing, and will provide a mechanism for closer engagement and collaboration between the authority and businesses. It will also create opportunities for people working in the digital and creative industries to share their expertise to help address issues around skills, diversity and inclusion, enabling Sheffield to thrive in the digital economy. Councillor Olivia Blake, deputy leader of Sheffield City Council, said: “We know that digital and creative companies are increasingly choosing to be based here in Sheffield, where they can be surrounded by the expertise, knowledge and support they need to make their businesses grow. “We also recognise the importance of the digital sector in generating jobs and growth for the city, but also in helping to work with the public sector to enable residents to thrive and make the most of the opportunities that digital innovation presents. Councillor Mazher Iqbal, cabinet member for business and investment at Sheffield City Council, added: “Sheffield is known the world over as a city that makes, and this reputation is as true and important for our creative and digital industries as it is for our advanced manufacturing and engineering capabilities. Mel Kanarek, one of Sheffield Digital’s directors, said: “Regional Partnerships are a way for other organisations in the region to collaborate with us and explore how working with digital technology can create benefits across the economy. The 2017 Tech Nation report showed that more than 18,000 people are employed in digital roles in Sheffield, while research by Sheffield Hallam University found that the top 25 tech companies in Sheffield City Region alone employ more than 12,000 people and bring in more than £2 billion a year. A report published in June this year, jointly commissioned by the University of Sheffield and Creative Sheffield, stated that Sheffield has the talent potential to continue to grow its digital and creative capabilities and is “on the cusp of something big”.